After our third or fourth pumpkin product review each year, you'll start to see my scores drop dramatically from that first pumpkin product of the season. There are a couple of reasons I can think of for this phenomenon. First, I think we seek out the most-buzzed-about products first, and they tend to be the ones that taste the best. Second, I think our standard for pumpkin products goes up after having a few stellar pumpkin desserts and tasty pumpkin brews. And the third and least likely reason is that we might actually get just a little sick of pumpkin and/or pumpkin spices. But then there are products that, in my opinion, are simply not that good. This happens to be one of them. I really don't think my low-ish score for this product is due to any of the reasons listed in the previous paragraph. I really just think they tasted weird. They certainly tasted like pumpkin spice, but the flavor struck me as being fake, even though the ingredients do actually list "pumpkin puree." The taste wasn't intolerable. It was just a little off—and not at all like the flavor of other Joe-Joe's. And I certainly couldn't feature myself snacking on these things at all if it weren't for it being fall and them being so seasonal and festive and all. And that brings me to my next point: Sonia really liked them. She insists that they tasted great and that they had the most intense pumpkin flavor of anything we've looked at so far. But Sonia is a brilliant graphic designer. Is it possible her opinion was heavily influenced by the cute, creative packaging of the product? I say yes. She also swears by the combo of these cookies and pumpkin-flavored coffee. She's not wrong there. The earthy essences in a good cup of java tone down the unusual pumpkintasticality of the cookies. My score would have been much lower had I not tried these things with coffee. And I must admit, these cookies had a nice texture. They felt fresh and had a nice sandwich cookie feel to them. They weren't at all stale or stiff. So...even though these cookies weren't really my thing flavor-wise, I think they're worthy of at least 2.5 stars. Sonia's gonna go with a solid 4. 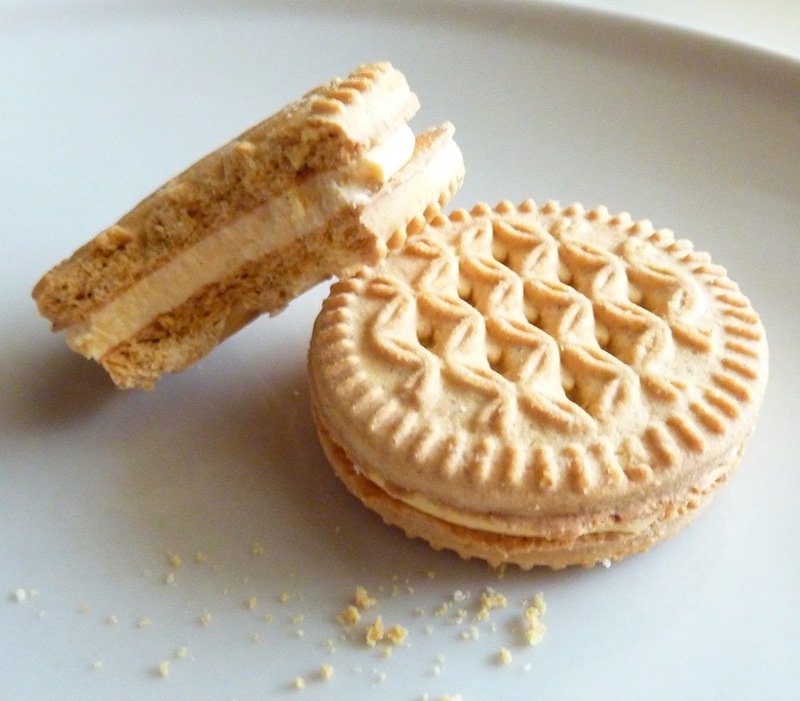 Although I haven't tried them yet, I've heard mixed reviews about the recently-released Pumpkin Spice Oreos. I assume they're a very similar concept. Comment below if you've tried those! Not a fan at all of pumpkin flavoring. And TJs goes way overboard with it. Not a good time to visit the samples bar. Or the free coffee. Not a good time if you don't like pumpkin, that's for sure. I usually like pumpkin flavors, but these weren't my favorite. Thanks for the comment, Jaitlyn. I'll have to check out the Oreos! I was worrid about the Oreos when I opened the package because they do smell like candles. There isn't any pumpkin in them and they taste more like gingerbread in my opinion. I really like them though. I had the Joe Joe's for the first time today and they seemed kind of bland to me. I thought these cookies were outstanding! They remind me of Newman's Own Ginger-O's, actually. They sold out almost immediately, so I unfortunately only got to taste just one. I loved the Pumpkin O's Cereal, as well. 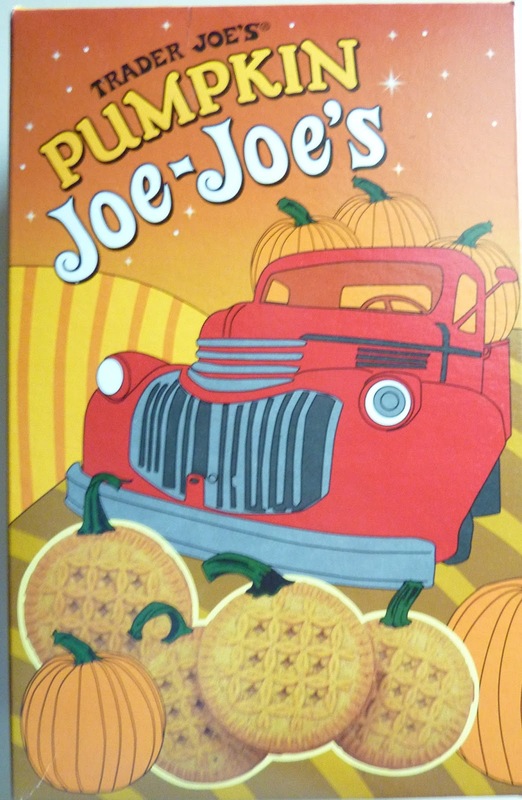 Of course, I may be a bit biased, as these and the Pumpkin Joe Joe's are, like, the only two vegan-friendly pumpkin products we carry. Oh yeah, I guess they are kinda vegan. Thanks for pointing that out.